Fashion Gossip: Kim Kardashian: I am NOT JEALOUS of Khloe! 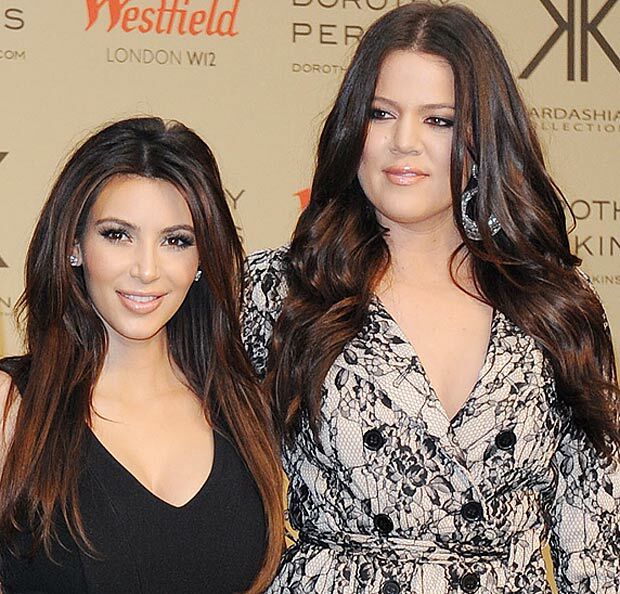 Kim Kardashian: I am NOT JEALOUS of Khloe! KIM Kardashian has attempted to rubbish claims that she is jealous of her sister Khloe with a series of supportive tweets. Could jealousy allegations be true?? The curvaceous reality TV star is allegedly envious of her 28-year-old sibling after she landed a job co-hosting X Factor USA. Khloe fronts the popular talent show alongside Saved By The Bell actor Mario Lopez in a primetime TV slot. The high-profile position has reportedly left Kim, 32, feeling like Khloe is becoming a bigger star than her. A source claimed to Life & Style magazine that the role was causing some "serious tension" in the family. The insider said: "Kim and Khloe has been fighting lately because Kim is extremely jealous of Khloe's career. Kim feels like Khloe had become the breakout star of the family, and she hates it." However Kim has hit back at the claims with a very public show of support for her sister by taking to Twitter last night to send a series of messages about the X Factor show. She wrote: "Can't wait to watch X Factor Tonight!!! I love seeing @KhloeKardashian when I'm away from her!!!! "It's X Factor time!! I love watching @KhloeKardashian on the show, who's watching with me!?" Kim carried on gushing about her little sister throughout the show adding: "Wow @KhloeKardashian looks stunning tonight on XFactor!!! Get it @khloekardashian!!! You're doing so good on xfactor tonight!" Khloe has already revealed that she has had "constructive criticism" from her sisters about her skills as a presenter. She said: "My sisters have already texted me tips, which I love. I love constructive criticism. I've never done this before, so I just think I can only get better - hopefully. "My sister Kim was like, 'You did amazing, but don't yell so much!' I did notice at some points, I was like, 'Why did I just yell?'"